This adorable baby chair was designed by Ben af Schulten in 1965 and portrays the charm of modern 1960's design. 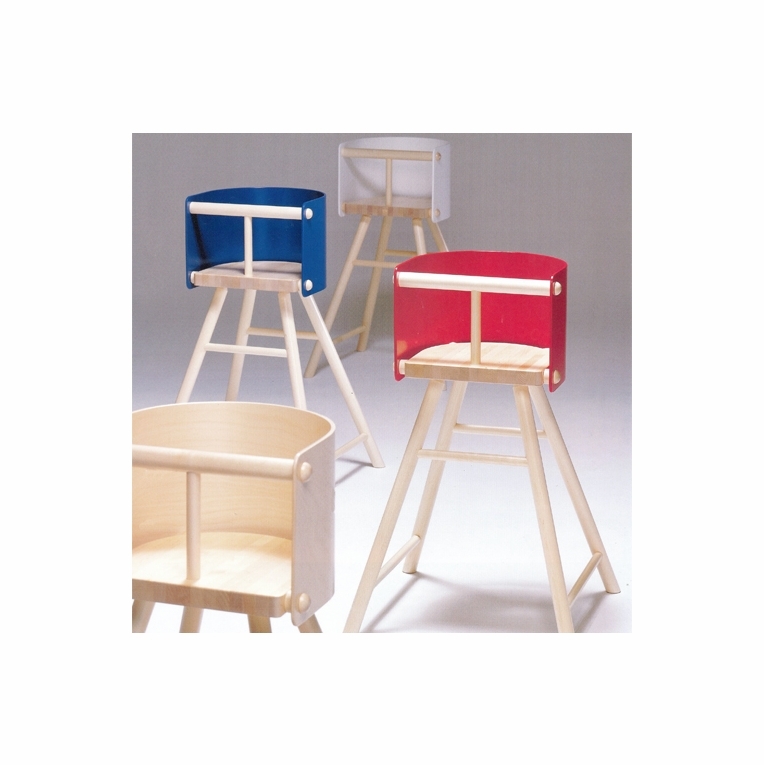 The natural birch legs provide a sturdy base while the sides and back are crafted from one lacquered piece of birch, which gives baby all-around support during mealtime. A wonderful pop of color, the birch back is available many colors to add a touch of design excitement. Made in Finland by Artek. Ships fully assembledPlease review our Shipping Information page before ordering. Payment: 50% will be charged at time of order, remainder will be charged at time of shipment.